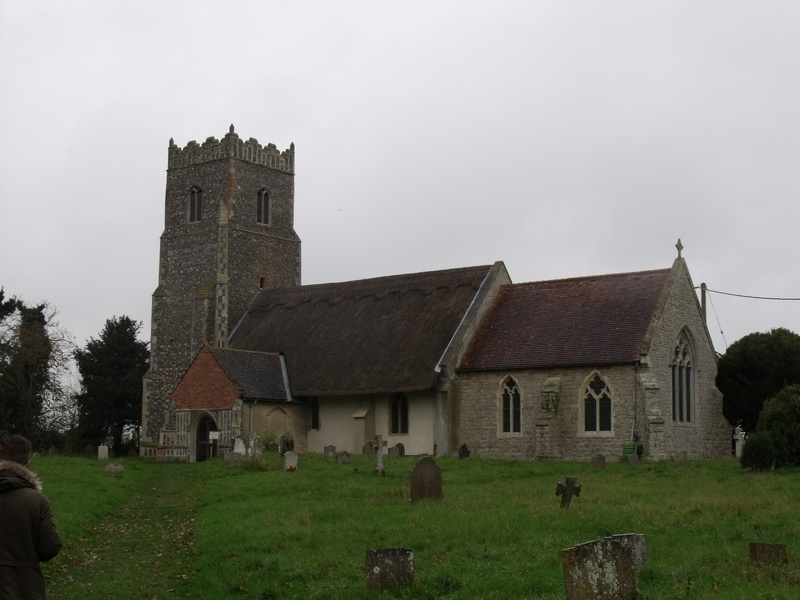 The tower of this church can be seen from Snape Maltings and there is a well trodden path to what seems like much more remote place than it actually is. This is one of those places that exude holiness. Although nothing remains of Botolph’s minster, established here in 654, it is easy to see why the saint chose such an out of way place for a life of contemplation prayer and mission. For the modern visitor there is a welcome notice inside the porch as well as a some information. Inside, the church is pretty dark which does add to the sense of apartness. There is a visitors book – with some 54 people in it for October (I visited on 31st). 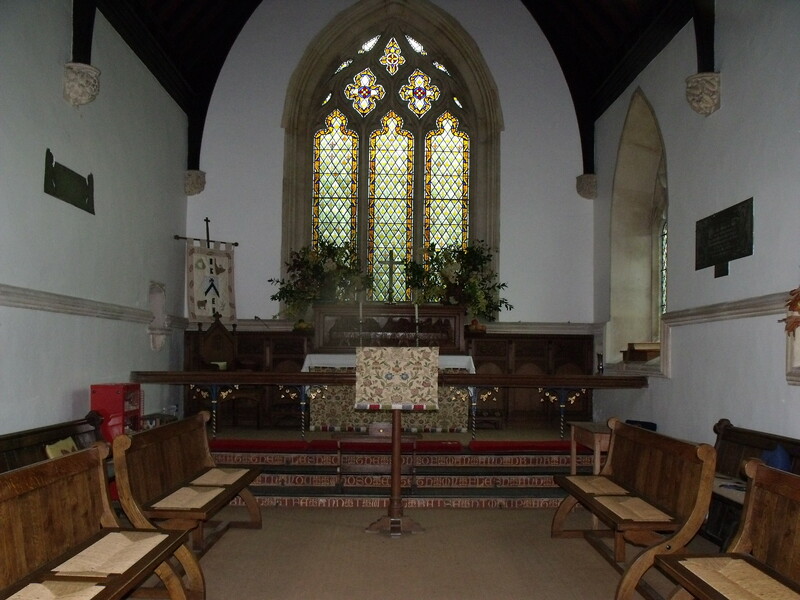 This is a well visited church. There are some post cards for sale, including one of a lovely icon of St. Botolph, and a good guide book. There is a box for intercessions to be placed in. A votive stand would be nice but, because of the history of the church – it burned down in 1968 – I can understand the reluctance to provide this. All in all, Iken is a very special place and I have been here several times – it has become a place of personal pilgrimage for me. 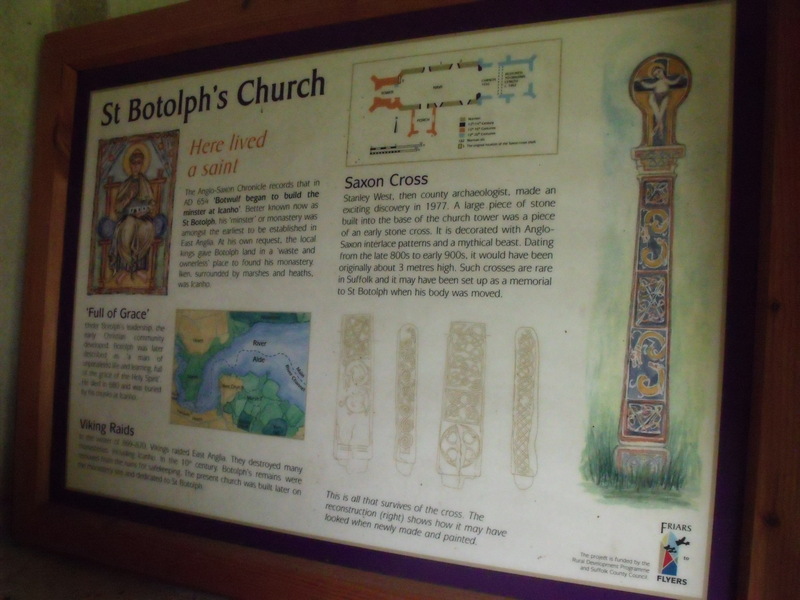 Go and have a look, absorb the atmosphere and think on Botolph, that far off Saxon saint. 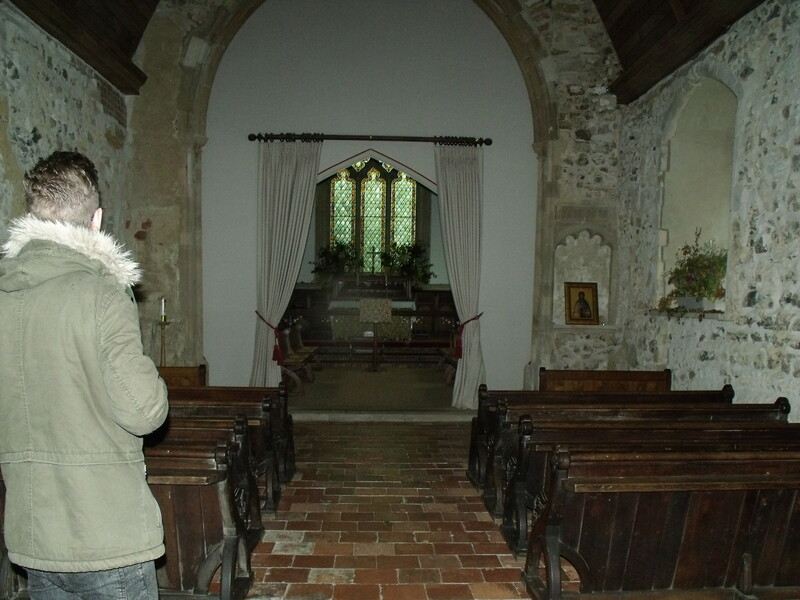 I rate St. Botolph’s as good for the visitor.